Kristina Lodovisi is running for Michigan State Senate, District 9. In the short time since she has declared her candidacy, she has been the underdog; she has been counted out. She was told it is "too bad" that she's running against some experienced politicians. It has been said she is not qualified, since she has not previously held an elected office. She's been told that since she is new to politics, her lack of experience with how things operate in Lansing will be too overwhelming. It was said she is not qualified, because she is a Mom, a Woman, and not a lawyer. She was told to "just stick to running for school board and let someone experienced run for the bigger offices." However, her lack of experience in politics does not mean she is not qualified to be a a Michigan State Senator. Throughout her life, Kristina has never backed away from rolling up her sleeves and getting her hands dirty to get the job done. She has worked in restaurants, led landscaping crews, done snow removal, roofing, and retail, just to name a few. She has worked both sides of the workforce, as an employee and in management. Kristina was a Soldier in the Michigan Army National Guard and deployed to Afghanistan, she is no stranger to life or death situations. She understands the struggles of Veterans, because her friends, husband and herself have struggled as Veterans. Kristina has driven hours in the middle of the night to save a fellow Soldier from committing suicide and has attended the funerals of Soldiers who have died way too young. Kristina understands the struggles of law enforcement officers. She has worked as one in garrison as a Military Police Officer and her husband is a law enforcement officer as well. Kristina has experienced losing law enforcement officer friends in the Line of Duty because "experienced" politicians could not get Common Sense Gun Laws passed that would prohibit a mentally unstable person with a violent past from purchasing a rifle. Yet the hardest job she has had is being a mother. Wondering and worrying how everything she says and does will affect her children. Women make up the majority of Michigan's population, yet, as a woman, Kristina would be a minority within the State Senate. The State Senate currently only has four women, of which three are term limited, including the only Democrat. Kristina knows what the average working person wants, what the blue collar working person needs; she has been there before, those are her friends and family. Kristina knows the importance of unions because her father and husband are union members. Kristina knows how the choices in Lansing affect small businesses because her grandfather and uncles own a small business. Kristina knows the importance of a good education, early childhood education, and quality affordable childcare because these are the things that affect her everyday life. Kristina knows the struggle that parents go through trying to help their children with Common Core Math because she helps other parents understand the methods, so they can help their children. Kristina sees the challenges facing teachers every day because she volunteers her time working with the Girl Scouts, the PTO, and as a parent volunteer. 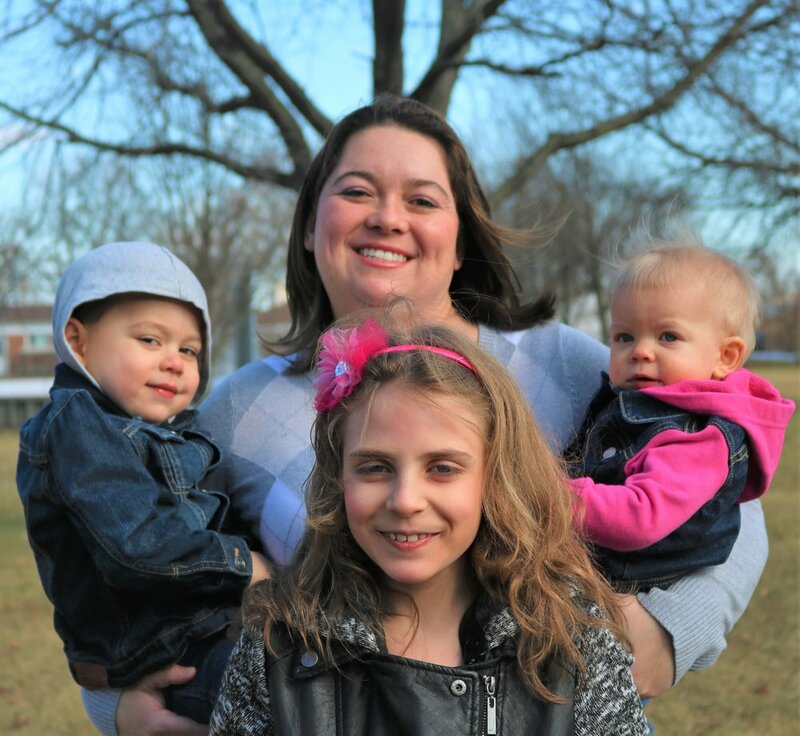 Kristina interacts with other parents on a daily basis, which allows her to understand their concerns and frustrations with academics in Michigan. Kristina works regularly with teachers and school administrators, so she knows their uneasiness about policy and laws created in Lansing. Some of her closest friends are teachers; she regularly hears their struggles as they try to balance Lansing's rules, parental expectations, and their desire to educate children. Kristina understands how student debt is crushing the ability of young people to be successful because her husband is STILL paying off college debt, despite joining the military to defray a large portion of his college bills. Kristina also knows that she does not know everything and that a willingness to listen and learn is a crucial skill for anyone holding public office. 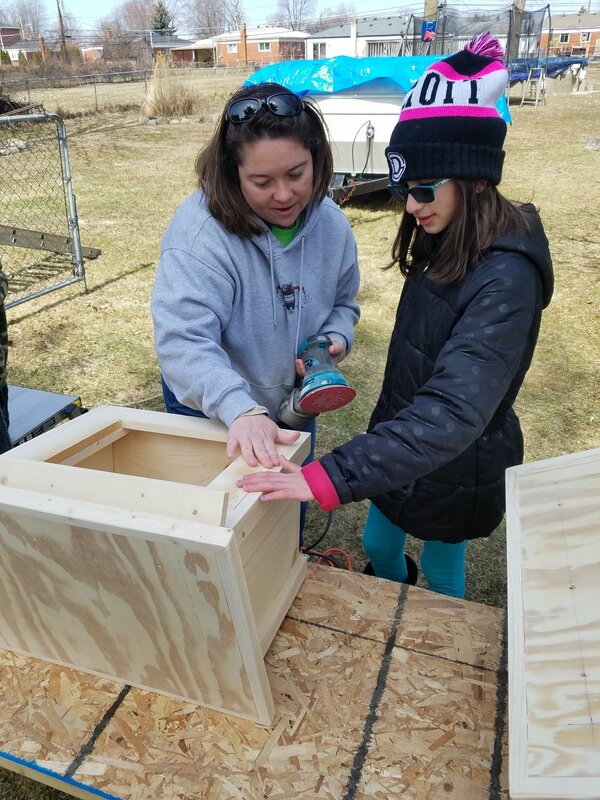 Kristina working with Girl Scout Troop 76104 on building Little Libraries to be put up throughout the community. Kristina will listen to what the people want and need, so she can look out for their best interest. She will work with fellow Senators and Representatives on both sides of the aisle to get things done in Lansing. If things fail to get done, she will stand up and shout to bring attention to the lack of action in the Legislature. It's true that she has not spent the last 20 years since graduating high school in politics. Instead, Kristina spent that time building a well-rounded life and gaining the experiences that will take her to the State Senate so that she can speak for the majority of people who feel they do not have a voice and someone who will fight for them in Lansing.